How’s the Market in Westchester, NY? Located just north of New York City, Westchester provides a perfect location for people who want to live the suburban life and still access the best of the urban lifestyle. Home of more than 900,000 residents, Westchester is a charming alternative to living in the city. It has great neighborhoods with an amazing selection of real estate – all in close proximity to schools and service establishments. Here, you can fulfill the suburban dream of owning a safe home in a friendly neighborhood. Best of all, Westchester offers a wealth of housing options to suit your needs. Life in Westchester is a suburbanite’s dream. With schools and other establishments just a quick drive away, the community allows you to spend less time commuting and more time with the people who matter. A solid school with a diverse population, Edgemont Union Free School District emphasizes treating everyone as family. The sports programensures the participation of students in an activity they like. The emphasis is on academics, with the school offering scholastic opportunities for students who excel. Approachable teachers are eager to help students fulfill their academic potential. This farm-to-table restaurant is housed in a gorgeous repurposed barn. There is no menu, but guests can sample dishes made from the freshest produce the Hudson Valley area has to offer. This cozy Italian bistro is the perfect venue for a night of wine and good food in the fold of friends and loved ones. Classics such as pasta, pizza (personal sizes included), veal, and chicken are served southern Italian style.The restaurant is also open for lunch. If you’re ready to start your search for the perfect single-family home, take a look at some of the available properties in the area today. Simply click on a listing to see more photos and find out more information about the property. 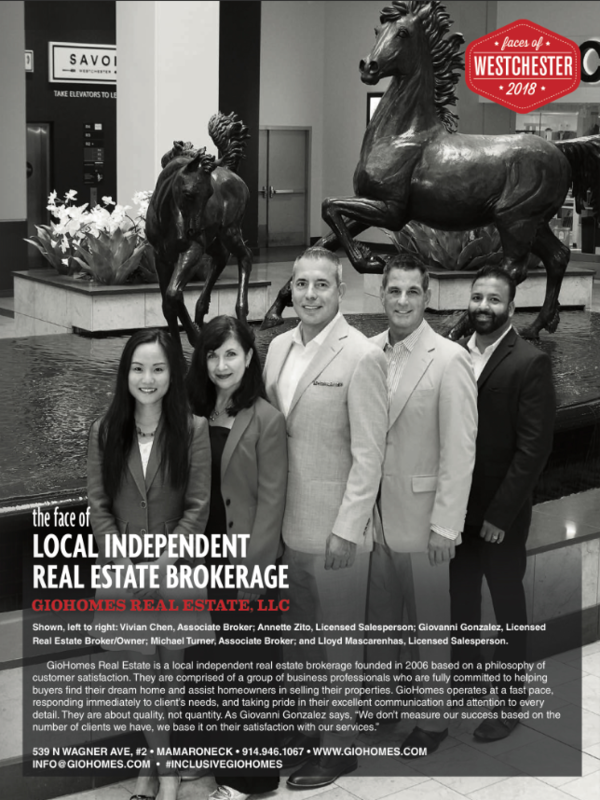 GioHomes Real Estate will be more than happy to help you find your dream home. Give us a call today at 914-946-1067 or send us an email at info@giohomes.com.